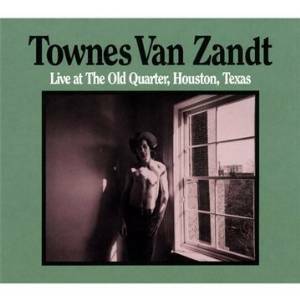 Live at the Old Quarter is a live album by Townes Van Zandt. It was recorded at a series concerts in July 1973 and was released in 1977. This is a very intimate live performance. I haven’t heard it enough to form a clear opinion but early signs are that it’s very good. I’ve also included it in the poll to find the best live country albums. This entry was posted in 1970s Live Albums, Country Live Albums, Singer Songwriter Live Albums and tagged 1970s Country, 1970s Songwriters, 1973 live albums, SS V, Townes Van Zandt Live Albums by Paul Simister. Bookmark the permalink.